a brain. new paper. new media. I spent yesterday afternoon working with different materials – paper and media both. 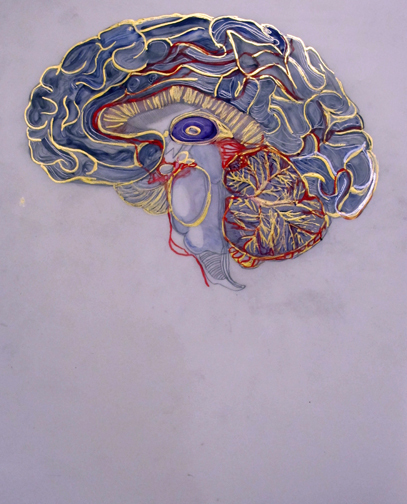 I settle on an a crisp architect paper – and I render this brain. I love the surface. I need to figure out how to display this small work without framing it. I don’t want to deal with glass and a frame. I could tack it up onto a wall but there has to be other choices – cleaner choices.